The string quartet ETHEL, Ralph Farris, Tema Watstein, Kip Jones and Dorothy Lawson, will perform at the Silvermine Arts Center Dec. 14. 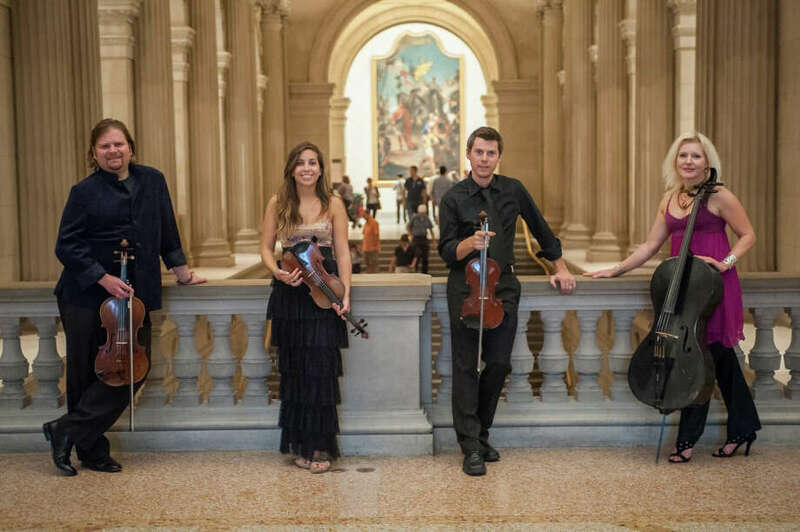 The string quartet Ethel returns to Silvermine Arts Center for a performance at 7:30 p.m. Saturday, Dec. 14, in Sara Victoria Hall Auditorium, 1037 Silvermine Road, New Canaan. The New York City-based quartet comprises Ralph Farris on viola, Dorothy Lawson on cello, and Kip Jones and Tema Watstein on violin. The program for the evening is "Grace," a journey to redemption through music. In every sense of the word, "Grace" provides beauty and charm, goodwill, a favor and a reprieve. In complex, stressful times and in a world overwhelmed by seemingly irreconcilable differences and challenges, music provides both an immediate tonic of relief and a medium for long-term healing and understanding. Ethel has pursued this aspect of its art in many ways over the years, both in its own creative output and in opening its hearts and skills to close collaboration with master artists from diverse cultures. The centerpiece for the program is Ethel's own adaptation of Ennio Morricone's score to the 1986 film, "The Mission." Morricone's score was nominated for an Academy Award in 1986 and won the Golden Globe for Best Original Score. The film deals with cross-cultural complexities fueled by the quest for redemption against the backdrop of the jungles of South America. Also featured in the concert are special quartet treatments honoring the 20th anniversary of the release of Jeff Buckley's "Grace," his only completed studio album. Favorite Ethel composers and collaborators Phil Kline, Mary Ellen Childs, James Bilagody, Marcelo Zarvos and Carlo Mombelli fill out the program. Tickets are $20 for members and $25 for nonmembers and can be purchased online at www.silvermineart.org or by calling 203-966-9700, ext. 22.